With regeneration going on in Colindale and Burnt Oak, Park Eats aims to bring these new and old communities together to share their love for their area through a pop up food market. It will pop up in three parks in the area, Colindale Park, Montrose Park and Silk Stream Park. These parks require some work to bring them to life and make them a real focal point that the community is proud of. As part of the Colindale Area Action Plan, the Council has plans to improve the landscape of these parks and what better way to support this by adding life to these parks with weekend markets. The food market will have 10-15 stalls that will float between the three parks initially on Saturdays and Sundays. 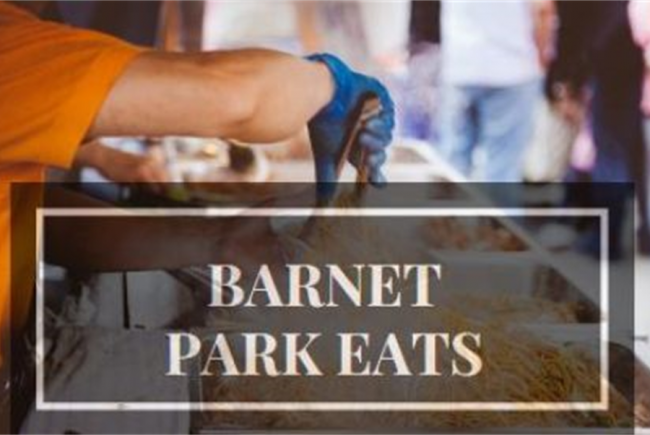 Not only will Park Eats bring the community together, it will primarily support businesses and residents in Barnet through prioritising stalls to current small food businesses in the borough or residents who are looking at setting up food businesses. There is a vibrant community around Colindale and Burnt Oak however there is little activity to bring people together. There is also little to do at weekends in the area which means people often end up heading out of the borough to find things to do. By bringing good food to people in the area, this will help them to really contribute to making Colindale a place that people want to live and work together. Additionally, we will have a robust selection process which ensures that there is a fair representation of local businesses and people; the food will represent the community and provide a spring board for residents. It is truly about supporting local people and this is something that Park Eats will put at the centre of Park Eats. We would like to say a big thank you to everyone that supported Barnet Park Eats. Although we did not hit the target, we are still keen to make the food markets happen and support the community so watch this space! Have a lovely weekend. Just a few days left until crowdfunding ends for Barnet Park Eats. It's been great to receive so much support from everyone so a big thank you. Please don't forget to continue to spread the word to help us get to the final hurdle. Very exciting news to announce today with Spacehive granting an extension to the campaign for one month. We have had a lot of interest in recent weeks and so now we have some more time to turn these into pledges. Thank you for your support to date and please continue to join us on this journey. Park Eats is a street food market management company that has been set up by two childhood friends who grew up together in Colindale together and developed their love for London and food along the way. Antonella and Benny are committed to bringing the buzz of central London to their doorstep using local parks that could use a bit of character. This has come from a passion for good street food and the drive to invest in local areas. Antonella grew up and still lives in the Colindale area; when she was much younger, she enjoyed trips to the park with her mother and friends-and then as a teenager, the park was somewhere to just hangout with friends to get out of the house during the long summer days. 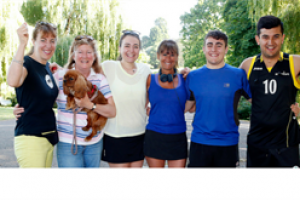 In recent years Antonella has noticed that the local parks are on the whole are less used and in a poor or state of repair and not widely appreciated by the local community. Benny is the foodie of the pair and has a real passion for bringing people together through good food and drink. 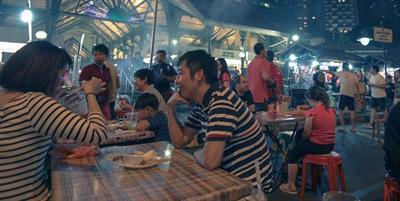 She loves to explore the street food market scene in London and Benny shares this passion through social media. Benny has even harnessed her project management skills in the food world and held a food and drink pop up in Central London. Park Eats aims to provide good food, support local business and improve the use of local parks. Our company will aim to create street food markets in areas undergoing regeneration or in need of some life, to ensure that there is a focal point of the community. With food as the main driver for the market, we will work with traders that provide quality, tasty food whether this is freshly cooked street food, fresh produce and healthy food, baked goods and drinks; the food will represent communities in the local area. We ensure communities are represented by having a clear criteria for stall holders to meet including lives or works in the borough e.g. 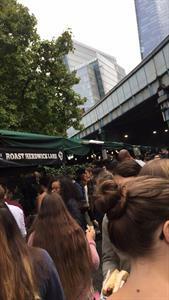 current small restaurants or those who live in the borough and want to test a new concept. We will help stall holders with offering cooking equipment and giving advice. Park Eats are responsible for all marketing whether local or more widely to bring people into the borough. Park Eats will also tailor the markets to the season to ensure the community and wider visitors remain excited and continue to attend and support the businesses. Project Delivery Manager: Park Eats Ltd The Project Delivery Manager takes legal responsibility for receiving and spending the funds raised and ensuring the project is delivered.